The College Hill Partnership invites you to an open Public Forum to discuss and share ideas about how to improve Seerley Park. 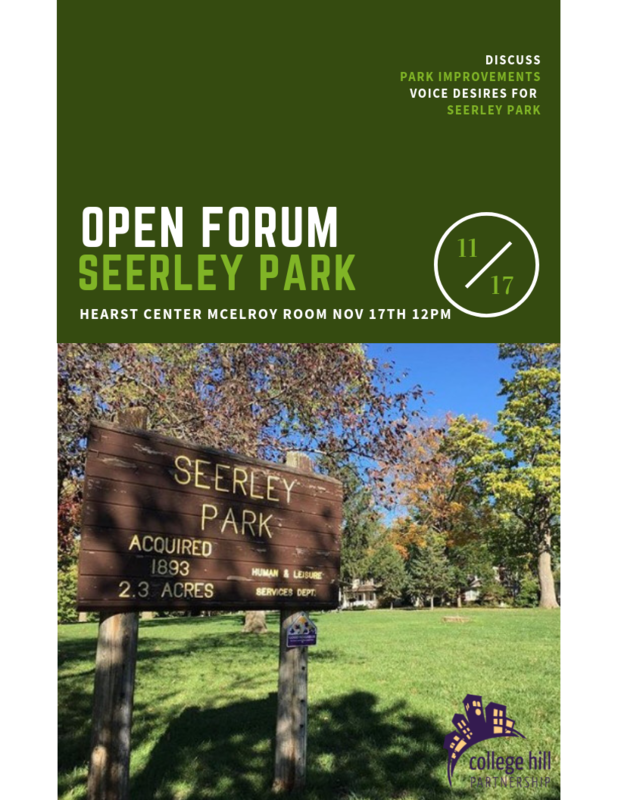 Please join us in the McElroy Room at the Cedar Falls Hearst Center (304 W. Seerley Blvd), on Saturday November 17th at Noon. 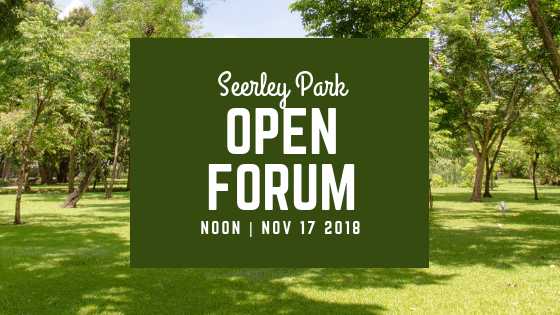 Bring your ideas, concerns and questions regarding the park. If you are unable to attend and would still like to voice your opinion please consider filling out our Neighborhood Services Survey HERE, or email our Executive Director at collegehillpartnership@gmail.com. We hope to see you there!